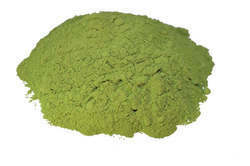 Prominent & Leading Manufacturer from Kanyakumari, we offer drumstick leaves powder, drumstick pods powder, stevia leaves powder, curry leaves powder and spirulina powder. Aimed at a prosperous growth in this domain, we are instrumental in offering an excellent quality range of Dried Drumstick Leaves Powder. Nutritionally, drumstick pods and leaves are of great value as sources of carotene, calcium, phosphorus and vitamin C. Mainly acts as cardiac and circulatory stimulants, possess antitumor, anti-inflammatory, anti-ulcer, cholesterol lowering, etc. We are presenting the supreme quality array of Drumstick Pods Powder to our esteemed clients. It is extremely beneficial for curing several severe diseases. These are most suitable and widely used in pharmaceutical industry. Moreover, these products are available in given frame of time at very reasonable rates. Stevia as a Sweetener Stevia is the sweetener of the future. 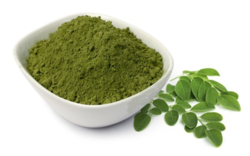 Because the human body does not metabolize the sweet glycosides (they pass right through the normal elimination channels) from the leaf or any of its processed forms, the body obtains no calories from Stevia. Processed forms of pure Stevia can be 70-400 times sweeter than sugar. Whether these products are called Stevia, Stevioside, Rebaudioside, Stevia Extract, or Stevia Concentrate, if they are in their pure unadulterated form they do not adversely affect blood glucose levels and may be used freely by both diabetics and hypoglycemics. For people with blood sugar, blood pressure or weight problems Stevia is the most desirable sweetener. Our curry leaves are dried from fresh leaves every week and have a more subtle flavor than fresh. Dried curry leaves have an appetizing aroma of roasted curry and the flavor is delicately spicy, faintly bitter with a hint of citrus. Try them in vegetable or meat dishes and in homemade curries. 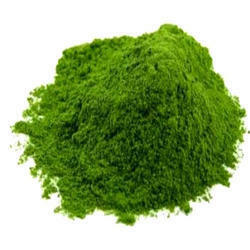 Spirulina is one of the most nutrient dense foods on the planet containing over 100 nutrients. It has been found to have more antioxidant activity than 5 servings of fruits & vegetables, 2300% More Iron than Spinach, 3900% More Beta-Carotene than Carrots, 375% more Protein than Tofu and 31 times more Phytonutrients than blueberries. Supports Total Body Health & Cellular Health. Contains upto 15% Phycocyanin - a Powerful antioxidant. Contains 8 essential amino acids that the body cannot synthesise: isoleucine (essential for growth), leucine (stimulates brain functions), lysine (required for antibody, enzyme and hormone production), methionine (rich in sulphur and anti-oxidant properties), phenylalanine (essential for the thyroid), threonine (improves intestinal and digestive function), tryptophane (serotonin regulator) and valine (natural mental and physical capacity stimulant). 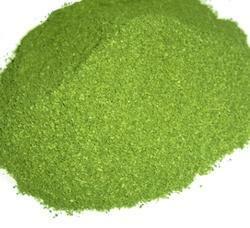 Looking for Agricultural Powder ?